Some business owners avoid searching for professional hood cleaning services because they feel their staff can perform the task better. However, if you truly want to protect your restaurant, and your time and financial investments, you owe it to yourself to hire professionals who can deliver the training, experience, and proper tools to do a thorough and inspection-passing job. There are quite a few reasons why you would be better off searching for restaurant hood cleaning services rather than let your staff perform all the cleaning for you. Greater Health Standards: Professional hood cleaners know that you face fire and health inspections and that you’ll be fined heavily if your restaurant isn’t kept up to code. With spotless ventilation hoods, your restaurant will be seen by inspectors and customers alike as having one of the cleanest restaurants in town. Diminished Risk of Fire: Ventilation hoods can quickly accumulate oil, grease, and other contaminants. That sludge coating may look harmless, but all it takes is a spark to put your restaurant, staff, and customers in grave danger. Professional vent hood cleaning services are designed to keep your vent hoods free of all fire-causing substances, protecting your business and everyone inside. Better Air Quality: The job of your ventilation hood system is to scrub the air of impurities and to provide your staff and customers with clean, breathable air that all good restaurants are known for. When all that oil, grease, soot, and other contaminants are left to accumulate, those particles can get trapped in your HVAC and make-up air systems, filling your restaurant with foul odors and harmful air. Professional vent hood cleaners will ensure your air is always clean and pleasant to breathe for staff and customers alike. Remain Fire & Health Code Compliant: Every restaurant faces regular fire and health code inspections. A single violation could cause your business to face heavy fines or even a shut-down until any issues are corrected. Filthy vent hoods are one of those aspects of restaurant safety inspections that can send up major red flags. Dirty air and fire are certainly major risks of an unclean vent hood, but there is also a potential risk of dirty particles getting into your customers’ food. Professional vent hood cleaning services are in the business of making sure you pass all NFPA and health code standard inspections. More Energy Savings: Cleaner vent hoods don’t have to work as hard to replace the air in your commercial kitchen environment. This means that your HVAC system and make-up air systems will have an easier time maintaining a healthy environment for staff and customers. When you hire professionals to clean your vent hoods, you’ll begin to notice a decrease in your monthly energy bills. Find the right service, and before long your vent hood cleaning services may just pay for themselves. A Cleaner Working & Dining Environment: Every commercial kitchen is going to get some grease and grime on their vent hoods. By remaining vigilant with regular cleaning, however, you can ensure that your staff and customers both have an environment they’ll love to spend time in. To put it simply, hiring professional vent hood cleaning services is simply good for the restaurant business. You have a lot of choices when it comes to finding the ideal cleaning services to keep your vent hoods in tip-top and spotless condition. Vent hood cleaning is not for amateurs, which is another reason why you should never let your staff tackle the job. Technicians who work on ventilation hoods know how to clean the hoods of top brands on the market. Using specialized tools and techniques they’ve honed for years, professionals are able to dig down into the tiniest nooks and crannies where grease, oil, and debris like to hide. Furthermore, professional vent hood cleaning services typically employ technicians who can maintain and repair your equipment. While cleaning a vent hood, a technician may notice that a fan has a defective part, for instance. If that’s the case, the technician should be able to identify the problem and troubleshoot the issue to restore the fan to optimal conditions. Many companies not only provide cleaning services but also vent hood and component repairs. These companies work with top brands and can furnish you with any type of part for quick service done right. You could say that these are all-in-one vent hood services, which is what you want when the protection of your business and the success of your restaurant are always firmly on your mind. When searching for a company for your needs, ask about other restaurants they’ve helped, and make sure those businesses remained compliant with the National Fire Protection Agency. Only restaurants that remain code compliant are able to avoid fees and shut-downs that can cost you big. With referrals from other restaurants around the area, you can ensure that your restaurant will remain compliant long into the future. Your ventilation hoods can’t be cleaned during your peak hours when your equipment is heated up and flames are active. Instead, a professional service works around your schedule, ensuring that your business operations are never interrupted as your vent hoods are cleaned. A professional vent hood cleaning service will operate when your kitchen is either shut down for the night or during slow periods if you happen to operate 24/7. This ensures your commercial kitchen remains clean and safe, no matter what hours of operation you keep. For best results, you are encouraged to ask about monthly cleaning services. This keeps your restaurant as clean as possible, even during the busy seasons. The company of your choice should be able to show up and clean without delaying your normal operations or disturbing your staff and customers. Instead, the best vent hood cleaning services will work in the background, doing a thorough job until your entire commercial kitchen cleaned and maintained just as it should be. A company worthy of your money will have no problem showing you the proper accreditation certificates that prove the organization is authorized to clean vent hoods in your area. You have put too much time and money into your business to trust your vent hoods to anyone who can’t hold or refuses to possess the proper credentials. Ask for accreditation and get proof before hiring the vent hood cleaning services for your needs. Not every cleaning service offers photo proof that your vent hoods have been cleaned, but this is a good perk to ask about when searching for a nearby company. The companies that do offer photo proof use this method as a way of going above and beyond, and there are many benefits to having before and after photographs in hand. For one, you get to see just how much grime and gunk were removed from your vent hoods, ducts, and fans. 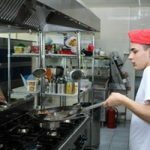 Furthermore, you can show the fire and health inspectors the photographs to prove that proper kitchen cleaning is a priority to your business. For those reasons, it may pay to ask the vent hood cleaners you’re interested in if they offer photo proof, as photographic evidence can help you remain confident that your restaurant kitchen is always as clean as it could be. A good company will know how to check for faulty fan components, frayed wires, and appliances that aren’t working as well as they should. By hiring a vent hood cleaning service that employs experienced technicians, you can ensure that you’re always getting the most out of your vent hoods and all associated components while they’re being cleaned. Professional vent hood cleaners have their reputation on the line when it comes to doing a thorough job. If only one restaurant owner complains about a service online or off, that could damage the company’s ability to drum up new business. For that reason, search online reviews and ask other businesses in the area to see which vent hood cleaning services are the best nearby. When you find a company with an observable penchant for helping customers like you, you can remain confident that your vent hoods will be cleaned with precision and that your business investment will always be well protected. You should be able to have your vent hoods thoroughly cleaned without breaking the bank. Companies that clean vent hoods and other commercial kitchen equipment charge based on a variety of factors. You may be charged based on the number of vent hoods you have, the intricacy of your HVAC and make-up systems, whether or not you also require vent hood maintenance and repairs, and if you have multiple restaurant locations. A company worthy of your business will work with you to ensure you get a fair deal for all hood cleaning services and maintenance, repairs, and whatever other tasks you require. Vent hood cleaning services require heavy-duty tools and powerful chemical solutions in order to cut through all that grease and grime. Examples of equipment that professional hood cleaners might employ include power washers, chemical degreasing solutions, hand-held scrapers, brushes, and others. These tools and chemicals are specially designed to remove pesky grease, oil, and other contaminants to keep your business protected from fires, foul odors, noxious air, and broken equipment, all of which can bring your business to a standstill. Keep your business always operating at its best by finding vent hood cleaning services that deliver the proper tools to perform any sized job. When searching for a company to clean your vent hoods, ask the representative if the organization guarantees you a passing score for all fire and health inspections. A company that isn’t certain of their ability to have you pass the necessary inspections is not worthy of your business. On the other hand, if the company promises to help you pass, no matter what, an organization like that may be worthy of your contention. Only when you get a guarantee that your restaurant will receive stellar marks the next time the fire and health inspectors come calling will you be able to find the cleaning crew that’s perfect for your needs. If your restaurant operates in Denver, Colorado, we encourage you to contact APS-Hoods, the local leader in commercial kitchen cleaning services. Our vent hood cleaning services, most specifically, are designed to keep your ventilation, ducts, and fans spotless while protecting your business from dangerous fire. We only employ the most experienced and well-trained cleaning, maintenance, and repair technicians, which means that we not only do a good job, but we also protect your business investment in several key ways. Our professionals clean with precision, ensuring that all nooks and crannies are free of grease, oil and other debris. We guarantee that you will pass the necessary fire and health code inspections. When inspectors get a glimpse of our thorough work, they’ll have no choice but to deem your business NFPA and health code compliant. Furthermore, we are able to identify issues and troubleshoot the sources to keep your appliances and vent hood equipment consistently operational and at maximum efficiency. This saves you money in energy costs and keeps the air in your restaurant pure for complete staff and customer satisfaction. We are fully-accredited to operate in Denver and bring the necessary tools, training, and experience to finish any sized job. For vent hood cleaning services you can always count on, contact APS-Hoods, your local source in Denver, Aurora, Lakewood, Centennial, Colorado for precision hood cleaning done right. What Do Commercial Grease Trap Cleaning Services Entail? Like most restaurant owners, you probably have an equipment maintenance checklist that includes checking equipment for failure and ensuring appliances are working efficiently for maximum energy savings. However, if you don’t have a proper cleaning checklist, you should get one fast. Cleaning a commercial kitchen involves a ton of elbow grease and the knowledge to know which areas to clean for proper food and environmental safety. The Centers for Disease Control and Prevention cite commercial kitchens as the source for more than 50% of all foodborne outbreaks. This means that thoroughly cleaning your commercial kitchen can actually help to spread airborne illness. Proper cleaning of a commercial kitchen must involve the countertops and other hard surfaces, all the appliances and other equipment, your exhaust hoods and vents, as well as the floors, walls, and ceilings. Before you finish your list, there is a critical component to commercial kitchen cleaning that we failed to mention: Grease traps. If your kitchen’s grease traps aren’t cleaned on a regular basis, you could find yourself with a mess on your hands, not to mention a major fire hazard. A grease trap that is regularly cleaned is vital to the health of your restaurant business. Grease traps that aren’t cleaned thoroughly can produce foul odors, which can offend even the most laid back of restaurant patrons. Dirty grease traps can also cause you to commit expensive state and federal code violations. For those reasons, you will want to ensure that you put into place a regular grease cleaning schedule that will keep your patrons happy and your restaurant profitable. A grease trap is a plumbing device that is designed to intercept grease and other solids before they have a chance to enter the wastewater disposal system. While some wastewater does contain a small amount of oil, grease traps keeps large amounts of oil, fat, and grease from clogging the septic tank and sewer lines. Commercial kitchens produce a ton of oil, fat, and grease, sometimes on a daily basis. When these particles enter the grease trap from the commercial kitchen’s outflow, the solid food particles sink to the bottom while the grease, oils, and fat float to the top. The grease-free water is fed into the septic system, leaving the grease trap accumulating more of the gunk all the time. Since these substances can solidify when cooled, the mixture of them can cause blocked drain pipes. A grease trap also manages to keep the septic and sewer lines cool while preventing a dangerous fire from occurring. However, grease traps can only work effectively when they are cleaned regularly. That’s because a buildup of grease is one of the most dangerous problems you can encounter in a commercial kitchen. When you combine the grease buildup with sparks and flames that regularly occur in a high-pressure kitchen, dangerous and deadly fire can result. The good news is that you will likely be reminded to regularly clean your commercial grease traps, as state and local codes, and even some insurance companies, along with the local fire department, will often have schedule requirements for proper grease exhaust cleaning. How Frequently Does Your Grease Trap Need to be Cleaned? The schedule you adhere to for proper grease trap cleaning varies, depending on your restaurant type, size, and other factors, such as your hours of operation. Generally speaking, you should plan to have your commercial grease trap cleaned every thirty-days if your establishment uses wood or charcoal grills, char-broilers, and if your doors are open 24/7. Many hamburger restaurants need a schedule like this due to the high rate of table turnover and cooking production. All those burgers produce a ton of grease, which needs to be cleaned out every month. Every sixty-days is the required commercial grease trap schedule for the average restaurant. This includes cafeterias, hotel kitchens, hospital kitchens, and your local family restaurant. Since the grease traps aren’t overflowing on a monthly basis, every two months might be an acceptable schedule for your needs. Check with the local code authorities to determine if this schedule is right for your restaurant or other commercial kitchen business. Many fast food locations have become very efficient with their grease trapping and cleaning, which means that these types of establishments can often get away with ninety-day grease cleaning schedules. A thorough scrubbing every three months should keep the grease traps clean and the cleaning process affordable for restaurant owners. For pizza restaurants, convalescent hospitals, snack bars, and oven hoods, every 120 days or once every four months should suffice for proper grease trap cleaning. For best results, you should always hire a professional commercial kitchen cleaning service to thoroughly clean your grease traps. Only a reputable company will have the training, tools, and abilities to clean your grease traps so they are always up to code. If your grease traps aren’t cleaned as well as they could be, you could face a load of problems. For one, your insurance company might revoke your insurance. You also face serious liability and litigation from fires that were caused by you not ensuring that your grease traps were properly cleaned. Hefty fines or a personal injury court case could put you out of the commercial kitchen business entirely. The National Fire Protection Association or NFPA states that the majority of restaurant fires start when cooking appliances flare into the kitchen exhaust system. When you consider that grease fires burn as hot as 1400 degrees Fahrenheit, a grease fire can spread quickly through neglected exhaust systems that are laden with grease. Fire could then travel to the roof, where more business-killing damage can be done, not to mention the threat of injury and loss of life. Nearly 11,000 commercial kitchens are damaged by fire every year, resulting in over $160 million in damages. Make sure yours is not one of them with proper commercial grease trap cleaning and maintenance. Depending on the company you hire, your grease traps will be cleaned with a variety of high-pressure tools and precision techniques. Each team that is hired to clean your kitchen knows there are pipes and ventilation shafts that can become traps for grease, oil, and debris. These areas need to be cleaned just as thoroughly as your grease trap to prevent future problems. Unless your time schedule was specified by fire and other coding authorities, your grease traps should be professionally cleaned at least every four to six weeks. Failure to clean your grease trap can cause all those solids to enter the wastewater, causing blockages that could then flood your restaurant with foul smelling sewer water. If that does happen, it will take at least two days to sanitize your commercial kitchen establishment, leading to an expensive and unnecessary shutdown. When the professionals show up to clean your commercial grease trap, the first thing they’ll do is assess the type of grease trap you operate. There are four essential types of the commercial grease trap. A hydromechanical grease interceptor is a small grease trap that is usually located in cabinet space underneath a sink. This type of grease trap provides passive oil trapping and is the least expensive to install. The drawback to the HGI grease trap is that it requires frequent cleaning, which might end up costing you more in cleaning and maintenance costs in the long run. This type of grease trap features an automatic mechanism for removing grease from the tank, where it’s kept in a separate container. While these systems can be a good alternative for the HGI, they make it a little harder to prove that your commercial kitchen skims FOG (Fat, Oil, and Grease) regularly. These grease traps separate water, solid waste, along with fat, oil, and grease using the force of gravity. The tanks are constructed of metal, concrete or a strong plastic and are designed to collect wastewater while separating FOG. When the FOG is collected, it floats to the surface while the solids sink to the bottom. The wastewater flows into the sewer network or the water treatment plant, and the grease is kept in the trap. If your establishment has a GGI, the grease will need to be pumped out regularly, or at least at the point where solids and grease become 25% of the overall tank’s contents. These grease traps are more expensive to install but require less maintenance than HGIs or their automatic system counterparts. For restaurants that don’t have space for larger, more conventional grease traps, maximum retention HGIs are becoming increasingly popular. These grease traps are on the smaller side, and yet tend to trap more FOG per volume. Some units manage to trap up to 85% of their liquid capacity. The best part is that these systems require far less maintenance than your standard grease trap systems. Depending on the type of grease trap your establishment uses, here are some common ways a commercial cleaning company will keep your restaurant spotless and safe with proper grease trap cleaning. The company will begin by removing the grease trap lid, typically with a crowbar or a wrench, as some traps are sealed with bolts. The cleaning professionals will need to ensure that the grease trap is completely cool before working on it. Allowing the liquids inside to reach room temperature will also cause the fats, oils, and grease to float to the top, which makes them easier to scoop out. The cleaning crew will first inspect the baffles, which are the parts of the grease trap that separate the flow of wastewater in the grease trap tank. If yours is an outdoor trap, there will be a PVC pipe fitting known as an outlet T. Without this device, the grease trap wouldn’t be able to do its job properly. The outlet T will ensure that the water leaving the grease trap is coming from the middle of the grease trap and that none of the solids are entering the sewer system. Cleaning a grease trap begins with removing the solid FOG that has floated to the top. This usually consists of a two-inch layer of thick sludge. The cleaners will use a scoop for this job until all the fats, oils, and grease have been lifted out of the tank. Only water and leftover food solids will remain after this part of the job is completed. Now comes time to use the heavy-duty grease trap cleaning tools. A powerful shop vac will be used to remove the residual solids and leftover water. During this process, the cleaning crew will need to ensure that the automatic dishwasher is turned off and that the sinks are not in use. Doing so will prevent the grease trap from filling up while the cleaning process is ongoing. Next, the commercial grease trap cleaners will scrape off the baffles, sides of the grease trap, and the lid. All excess grease will need to be removed before the cleaning crew can call it a job well done. Your grease trap will then be flushed-out with soap and a degreasing solution, in most cases, then clean water. By the time the crew is finished, you will be left with a clean and sparkling commercial grease trap. One of the primary reasons that a professional crew is often selected for grease trap cleaning is because these services have the means to safely remove any FOG collected. These services will typically offer grease trap cleaning in addition to vent hood, fans, ductwork, and HVAC cleaning, making sure your restaurant is free of fire-starting grease and other debris. Want a Free Quote for Professional Grease Trap Cleaning? If you want your grease trap to remain clean at regular intervals throughout the year, keeping you code compliant and your restaurant safe, you’ll want to call on the commercial kitchen cleaning professionals. Aps-Hoods proudly serves clients throughout Denver, Aurora, Centennial, Lakewood, Colorado and Los Angeles, California. For safe and reliable commercial kitchen cleaning that will save you time and money, contact our grease trap cleaning professionals for a free quote. Running a restaurant or other type of commercial kitchen business requires you to maintain your business at every angle. One area where many business owners tend to lack is in the cleaning of all air ducts throughout the establishment. Over time, the air ducts in a restaurant can become caked with grease and other particulates, leading to restrictions in airflow, and even risk of fire. As time goes on, your business may require expensive duct repair, because all that gunk can make your air ducts too restrictive for proper airflow to get through, leading to more expenses and danger. Yes, that’s right. The more buildup there is in your restaurant duct system, the more impure the air will be in your restaurant. This means that your staff and customers will be breathing air that has been contaminated with cooking and other wastes. Not only that, but your HVAC and air make-up systems will have to work overtime, putting those systems at risk for breakdown. To make a long story short, if you don’t properly maintain your ducts with proper cleaning, you’re facing large expenses, the risk of fire, and potentially business disruption if systems need to be replaced or fire causes your business to close. Here is how to maintain your restaurant’s ductwork and all accompanying systems to keep your restaurant code compliant, safe, and presentable for staff and customers alike. Like most business owners, you’ll always look for ways to save. This might mean time or money savings but retaining more of those things is always top priority. With this in mind, many restaurant owners strive to save time and money by having their staff clean their commercial exhaust hoods, exhaust fans, and all accompanying ductwork. Here are five reasons why that is the wrong approach. Depending on how busy your restaurant gets, your ductwork and associated commercial hood systems likely get exposed to a significant amount of heat and grease. Over time, this grease can build-up, requiring the use of powerful, industrial-size cleaners. Unless you have restaurant-grade pressure washing machines, powerful and safe chemical degreasers, and all the necessary equipment to clean your restaurant’s kitchen exhaust system thoroughly, you’re putting your business, staff, and customers at risk. Each bit of grease and debris that are left behind by inexperienced staff members can contribute to a future fire hazard. Your kitchen exhaust fan and make-up air systems may also become overloaded, resulting in an impure environment and expensive potential breakdowns. Your staff would have to work overtime to maintain the type of restaurant hood and duct cleaning that would be required to keep your business safe from fire and other risks all year round. Your staff is too busy opening for business, serving customers, and closing down at night. In many cases, professional commercial duct and hood cleaning requires the cleaners to work long into the night, when your business is closed to the public. Unless your staff is willing to work overtime, costing you even more money, it’s best to hire professional vent hood cleaners for commercial kitchen establishments. Only professionals who are experienced with commercial hood installation and cleaning will understand how to maintain a clean environment that will pass any local and Federal agency inspection. Your staff simply don’t have the certification or expertise to handle a job of such magnitude. Commercial vent hood cleaning and kitchen duct cleaning are major jobs that require professional-grade tools and years of experience, which are qualities your staff is unlikely to possess. When you hire ventilation hood installation and repair experts to clean your commercial kitchen duct systems, you know you’re getting a fast and efficient service that works with your schedule. You won’t have to pay staff overtime to clean your ducts and other commercial kitchen equipment, nor will you face expensive mistakes by going the in-house cleaning route. Expert vent hood and duct cleaners have the tools, chemicals, steam, and related machines and techniques to rid your restaurant of grease and buildup while keeping your business code compliant. When it comes time to find a commercial kitchen cleaning service, you want to look for a few qualities. You want to know that the service you hire to clean your commercial ducts, hoods, exhaust fans, and HVAC systems has worked on your type of business and equipment before. Having this level of experience allows the cleaning professional to troubleshoot any problem quickly, leading to less costly and more efficient repairs. Your commercial vent hood cleaning service should employ only those who understand commercial kitchens and the ways in which they operate. The service personnel performing the duct cleaning should be familiar with the top brands and know how to simultaneously repair ductwork, vent hood systems, and replace equipment if necessary. Only a commercial kitchen cleaning equipment that provides all its services in-house can fully help your business remain safe and compliant. This means that the service personnel can perform all duct cleaning, service, and repairs without having to turn to expensive and potentially inexperienced contractors. Professional ventilation hood installation, maintenance, and repair experts know that you require regular cleaning services in order to remain code compliant. The best companies work with you to give you a competitive quote on all commercial kitchen cleaning services without hidden fees or other charges. The company should operate close to where your business resides. This is because you never know when you might require emergency ventilation hood cleaning or grease trap cleaning, for instance. With grease and oil and high heat providing such a risk of fire and debris-filled air, you want to know that professional commercial kitchen cleaners are always just a phone call away. The first step to cleaning your commercial ventilation hood systems and all associated ductwork is to come out and assess your restaurant. This step is usually completed when you get your free estimate, which most commercial kitchen cleaners do provide. Look over your estimate carefully and ensure that it includes everything necessary in order to prevent dangerous grease buildup and prevent future problems. This includes thorough cleaning, maintenance, and potentially repair of all ventilation hoods, exhaust fans, ductwork, HVAC systems, make-up air systems, grease trap, and all other relevant components. A professional will be able to walk you through this process to ensure you have peace of mind that your ventilation and duct hood cleaning are always in the best of hands. The act of providing your restaurant with a comprehensive duct and hood cleaning is not a quick affair. It will take hours, so generally, these services are performed during the times when your business is closed. If your restaurant business is open 24/7, this won’t prevent the commercial kitchen cleaners from doing a thorough job. It just means that you’ll need to find an experienced service that will provide the least disruption to normal service as you have your systems scrubbed and made code compliant. In order for your ducts and ventilation hood systems to be cleaned as you prefer, all necessary appliances, machines, and equipment will need to be switched off. This is to ensure that there is no harm to personnel, as well as to protect the safety of your equipment. These machines are easier to clean when they’re not in operation. The cleaning of commercial kitchen equipment, ducts, hoods, and exhaust fans can get messy. For this reason, all cooking and other surfaces will be covered to keep them clean and safe. Most of the time, your commercial ventilation hood and duct cleaning will be performed by pairs of experienced personnel. Once all the necessary equipment has been shut off, the next step is for your commercial kitchen cleaners to split up. One will go up to the roof while the other will stay in the kitchen. Once on the roof, the commercial kitchen cleaning expert will use powerful machines and chemicals, as well as steam, to pressure wash any lingering grease out of the ductwork. Once the cleaning begins, all the flushed away grease and debris will flood down into the kitchen area. This is why it was necessary to cover everything. The kitchen vent hood cleaning expert inside the kitchen area will use equipment to catch all the flushed grease and debris, allowing it to be responsibly disposed of. With all of the restaurant’s HVAC, make-up air systems, and other roof-based ventilation equipment clean and disinfected, both commercial kitchen cleaners will meet back up in the kitchen, where the true cleaning begins. The areas over the stoves and other commercial kitchen equipment are most prone to grease and debris buildup. These areas, if not cleaned properly, can become literal hotbeds for the breakout of fire. These systems will be disassembled and cleaned inside and out. This includes the ventilation hoods, exhaust fans, and any associated ductwork. Since you took the time to find a one-stop-shop for commercial kitchen cleaning services, you know that your personnel will be able to replace fans, wiring, ductwork, or any other systems that appear to be defective during the cleaning process. Next, the kitchen cleaning experts will ensure that all ducts are flushed of grease buildup and debris that can cause your HVAC system to malfunction and kick dangerous impurities into the air. A professional kitchen cleaning service will test all of your equipment to ensure that it’s always operating as it should. These tests are crucial for preventing future problems and saving you loads of time and money in the long run. The goal of a professional commercial kitchen cleaning service will be to provide you with fast, thorough, and efficient service. That means that you can expect your cleaning crew to work quickly as they flush grease from the roof to the kitchen, then clean the kitchen area with meticulous attention to detail. During this cleanup process, all the ventilation hoods, exhaust fans, and ducts will be checked for quality assurance, and all appliances and machines uncovered for the next business day. When the service is complete, you’ll be able to walk into your kitchen smelling cleaner, more breathable air, and witnessing your ventilation hoods, ducts, exhaust fans, and all associated systems gleaming from a cleaning job well done. We are known for our high attention to detail and ability to clean even the most elaborate of duct and vent hood systems for all types of restaurants and commercial kitchen establishments. Your kitchen business may be serving customers on the daily, but you’re doing yourself a disservice if you fail to clean your ventilation hoods and ducts properly and on a regular basis. 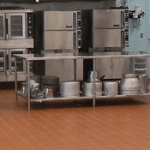 If you live in and around Denver, Colorado or Los Angeles, California, call APS-Hoods and we can provide you with professional commercial kitchen cleaning services. Our experts have years of experience and are trained on all top brands of commercial kitchen equipment. From ventilation hoods and exhaust fans to ductwork and every other system in between, APS-Hoods can provide you with a free quote on thorough cleaning that gives you peace of mind and keeps your business code compliant. Unlike a home kitchen, a commercial kitchen is a large space where food preparation and cooking processes go on for hours on end. As a restaurant owner, it’s your duty to keep the distinct areas of your kitchen properly cleaned, particularly the exhaust hoods. The purpose of the kitchen exhaust hood is to release smoke, heat and smell and keep the kitchen atmosphere clean and safe. The cleanliness of a restaurant is crucial both from the employees’ and the visitors’ point of view. If the kitchen environment is not well-maintained, the productivity of the employees will be impacted. Nobody would want to spend multiple hours in a kitchen if it exposes them to health risks. Visitors too want to sit and eat in a restaurant which is squeaky clean and free from any kind of smell. That’s why every restaurant owner is also bound by the law of their state to keep their restaurant properly maintained and guarded against safety hazards. In case the safety codes are violated, the owner may have to face heavy penalties or shut down their restaurant altogether. Before the cleaning task is performed, it’s a good idea to remain informed about the various parts of a commercial kitchen hood. An exhaust hood system consists of three main parts – filters, ducts and fans. Generally, an exhaust hood goes through a cleaning system before it exits the building. The exhaust hood, as the name suggests, functions to take the smoke, heat and odour inside the kitchen out. It’s a ventilation system which also pulls in some fresh air from outside to keep the kitchen atmosphere clean and easy to work in. Broadly speaking, kitchen hood systems can be categorized into type I and type II. Type I exhaust hoods deal with grease whereas the type II exhaust hoods handle heat and odour. 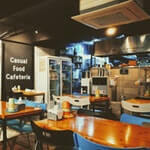 Together, they perform a great job of cleaning the kitchen atmosphere. The hoods are placed just above the fryer and burner in the kitchen. Though a kitchen hood system comes along with two fans (for exhaust and makeup air), you can also install an additional fan on the roof over the exhaust duct system to speed up the ventilation process. The fans inside the hood are often linked with the building’s HVAC system. Just like the fans, the steel-made ducts are also two in number, one for releasing air and the other for makeup air. Other components of a commercial kitchen hood system include back splashes, vapor proof lights, grease filters and grease cups. Cleaning the kitchen of a restaurant is a long, tedious process which can take up 4-6 hours. Abiding by the legal safety standards, you’ll be required to clean the hoods at least twice a year. But how many times your restaurant kitchen will need to be cleaned also depends on the current condition of your hoods. If you have a very busy kitchen and cleaning has been neglected for several months in a row, you may need the hoods cleaning done multiple times. An experienced hood cleaning company can visit the distinct areas of your commercial kitchen and then suggest the best cleaning ideas. These service providers have the knowledge, expertise and tools to clean the exhaust hoods of a kitchen to the bare metal and ensure efficient overall ventilation. The filters of an exhaust hood system gather the most amount of grease and oil in the kitchen. That’s why, they must be cleaned on a frequent basis. The code in your area will require you to get the hood filters cleaned once every month to avoid fire and safety hazards. As a responsible restaurant owner, you should never ignore cleaning the filters. In fact, you should get the hood filters cleaned every couple of weeks to remain fully safe from dangers. The second most important part of a hood system is the ducts. After the filters, it is the hood ducts that accumulate the most amount of grease, particularly when the hood filters are not doing their jobs well. All the smoke and heat produced from cooking processes pass through these ducts, and so they need proper cleaning on a regular basis. Professional kitchen hood cleaning contractors understand the value of ducts and clean this component professionally using the equipment and tools that are best suited for the task. If there are errors in the placement of ducts, the contractor can get that problem fixed as well for safety. Both the fans and the motor are located inside the duct. While the ducts are being cleaned, the contractor will also check the fans and the motors to see if they are working properly. If the quality of the motor has degraded or it is not functioning to its fullest potential, the air quality in the kitchen will suffer. Therefore, it’s important that you get the fans and the motor serviced and maintained appropriately. This will improve the efficiency of the entire hood system. Finally, the hood cleaning professionals will clean the other smaller components of the kitchen hood system. But there are many other things that cleaners need to do before they get started with the task. They follow an appropriately laid out procedure and a cleaning checklist to deliver best results. Make sure you work with a reputed contractor and never skip the cleaning schedule. 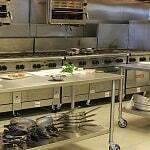 There are several benefits that a well-maintained and clean commercial kitchen has to offer. If you operate a restaurant, you should seek the services of a professional kitchen cleaning company to clean every distinct area of the kitchen. But one area which needs the most attention is the kitchen hood system. Therefore, you should make sure that every component of the hoods you have installed gets a spring-clean so that it functions to its maximum efficiency level. An unclean kitchen is the breeding ground for harmful germs and bacteria. The build of grease and oil in the hoods can encourage the growth of these bacteria and ruin the quality of food in the kitchen. People getting sick from consuming contaminated food or drinks is a common problem. By giving your kitchen a routine cleaning, you can keep your food items safe and remove the risk of contamination. High quality of foods translates to getting more customers. If your employees are productive, it helps you get more done in less time and grows your restaurant business as a result. But an unorganized and smoky kitchen ruins productivity as well as jeopardizes the health of your staff. On the other hand, a clean and efficient kitchen exhaust hood system helps harmful particulates escape into the outside air and keeps the kitchen atmosphere clean and safe for the staff to work in and deliver their best performance. A commercial kitchen remains exposed to a lot of heat for hours on end. Add to it the build up of grease and oil in the exhaust hood. All of this together increases the risk of potential fire in the kitchen. If a fire breaks out, it can do harm to both life and property. The expense of repair could be in millions. The most effective way to reduce these risks is to get the exhaust hood system of your commercial kitchen cleaned and maintained on a regular basis. Since a commercial kitchen is such a busy place, you never know when things can go wrong. That’s why the law in every state has mandated for all large kitchens to follow a safety code. Untidy kitchen hood is a common reason for not clearing the inspection. If you land your restaurant in an emergency situation due to lack of cleaning, you can end up paying heavy fines. You can avoid all these issues by keeping the exhaust hood system as well as other areas of the kitchen free from any kind of greasy buildup or contamination. A vent hood system is not inexpensive to install. So, it deserves a good, proper cleaning on a regular basis too. The accumulation of grease and oil in the hood filters, ducts and fans disrupt the smooth functioning of the hood system and reduce its longevity. If you just keep the exhaust hood cleaned, you can have it serve your needs quite efficiently for years in a row. Most importantly, the maintenance of your commercial kitchen is directly related to your business growth. A safe and clean restaurant is equally loved by employees and customers. It speaks volumes about your values, concerns for people’s health and safety and your brand. So, make sure your kitchen’s exhaust hood system is spick and span and works exactly as it should. While regular cleaning is always advisable, the number of times you should give your kitchen hood a cleanup depends on a number of factors. These include the size of your kitchen, volume of cooking and frequency of inspection among others. You can talk to a professional kitchen cleaning contractor and find out what frequency of cleaning is best suited to your restaurant. Commercial kitchens with solid fuel cooking operations develop a lot of greasy and oil buildup over a short period of time and need most frequent cleaning. Such systems should be cleaned up every month. If you have a 24-hour food service in your restaurant, you definitely cook large volumes of food. In this case, you need professional cleaning at the interval of every three months. A quarterly cleaning frequency serves well both your inspection and maintenance requirements. If the volume of your cooking is moderate and you have a sit down facility in your restaurant for customers as well, you should get your exhaust hoods cleaned up at least twice every year. There are many cooking centers which operate only for a couple of months every year. This means they cook a small volume of food. In such cases, cleaning the kitchen once a year should suffice. A professional kitchen hood cleaning company has wide experience in addressing a variety of cleaning needs. They can tell you how often you should get the exhaust hoods of your commercial kitchen cleaned. Have a consultation with a reputable contractor and schedule cleaning for your restaurant. Once the cleaning up has been done, you can run your restaurant worry-free for the next six months. In addition, you can also check out the cleaning criteria set by the National Fire Protection Association to find out more about how frequently you should get your kitchen’s exhaust hood systems cleaned for safety against fire hazards. If you haven’t found a professional kitchen hood cleaning contractor yet, feel free to talk to APS Hoods. At APS Hoods, we offer top quality cleaning services for all types and sizes of commercial kitchens. Whether you’re in need of exhaust hood cleaning, equipment cleaning or installation, maintenance and repair of an exhaust hood system, we can fulfill all your specific needs. We operate throughout the Denver area and serve the cleaning needs of commercial kitchens, day camps, seasonal businesses, senior centers etc. We have been delivering remarkable cleaning solutions to all kinds of restaurants in Denver and its surrounding areas for more than 20 years. Our cleaning professionals are expertly trained to abide by the regulations of the National Fire Prevention Association as well as comply with the state and local codes. While working with us, you can feel confident that our crew members will do an excellent cleaning job. 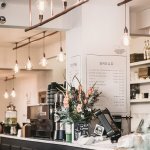 Denver, CO – If you are in the process of building or renovating your restaurant kitchen, many questions are bound to arise about which materials are best to use. It is not just about aesthetic value either, but about fire safety, cleaning efficiency, and ease of repair. Let our experts at APS Hoods advise you on some basic rules of thumb when it comes to commercial kitchen ceilings. Different states have various regulations about which materials are permissible for use in commercial kitchens. However, the general requirements revolve around the material being safe for its use in a kitchen environments. Easy to clean/smooth: No textured materials are permitted, as it hard to clean out dust and grime. Vinyl coated tiles are fantastic, and sealed wood or concrete ceilings are acceptable as well. Non-absorbent: Since steam will rise to the top of your kitchen, an absorbent and porous material will leave your ceiling susceptible to mold. That will present a health hazard and a costly repair in the future. Ease of Access to Infrastructure: Since you may need to repair above-ceiling pipes or fix electrical wiring, the wisest choice for a ceiling solution is a drop tile grid, not large panels of wood or Sheetrock, This way, all that has to be done for an HVAC or electrician tech to do their inspections or repairs—is popping the individual tile or group of tiles off. Then they can be replaced when the service is over. Easy Repair: If a part of the ceiling becomes damaged, say—from a leak or fire damage—having a tiled ceiling is a huge advantage, since you only need to replace the section that was damaged. If you’d like a quote for professionally cleaning your restaurant walls, ceilings, floors or equipment, call the experts on commercial kitchen cleaning, at APS Hoods. Reach us at 1(855) 236-6114. Los Angeles, CA – If you own a commercial kitchen for any length of time, chances are– you have probably rented a power washer or have contracted commercial power cleaning professionals. The truth is, this service is almost mandatory, as it not only cosmetically improves the look of your restaurant, but also protects your facility from fire and bacteria growth. What does commercial kitchen power washing involve? Commercial power cleaning involves a powerful machine that appears similar to a large lawnmower with a hose and several tanks. The tanks are filled with steaming hot water and commercial grade cleaning concentrate. This piece of equipment is then taken inside your kitchen to help wash your tiles, walls, floors, hood and anything that has built up a greasy film. The high pressure (4000 psi) combined with extra heavy duty degreasers cuts through the worst messes. Then, outside your facility, we spray down the areas around your garbage, where stains and spills often cause bacteria growth and foul odors. Our enzymatic solution will eat through these stains, restoring your exterior to a pleasant state that will never embarrass you in front of inspectors or new staff. Even your roof, where grease collected through the vents will benefit from a good power washing. Many local companies in each city rent smaller power washers for use in food service businesses. However, not many of them can compare to a larger, commercial machine owned by dedicated power washing companies. Stronger pressure in commercial grade machines. No wasted time on a steep learning curve. Proper and effective use of power washers requires your staff to learn special techniques. Cleaning and washing these devices before returning back to the shop is also a job in itself. The detergents available on the general market do not compare in strength to what is sold to professional contractors. Even if you do get your hands on a powerful solution, you must take care that it doesn’t get into the public water and get you in trouble with the city. Not all publicity available washers have the steaming hot water feature necessary to really break down grease, while all professional machines do. Grease disposal: a professional crew can properly discard any oil harvested from your hood and grease filter with no headache for you. If you are ready to speak with a representative about restaurant power washing in any of our locations, please call 1(800)842-1583. We provide power washing, hood/vent/duct cleaning, commercial kitchen cleaning, fan servicing and much more in Los Angeles, Denver, Phoenix, and Salt Lake City. 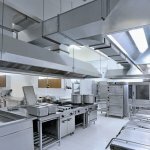 Restaurant Kitchen Deep Clean: How Long Will the Kitchen be Down and is It Worth It? Denver, CO – One of the most important, and most overlooked, parts of running a great restaurant is doing a deep clean. While it’s easy to have regular employees do the dishes, wipe the counters, and mop the floors, it’s harder to make time to do the deep cleaning. Deeper cleaning, like cleaning the exhaust hood, ductwork, rooftop exhaust fans, and other appliances, takes a lot more time and effort. This is especially true if you don’t have the proper tools and cleaning products. So what is the cost of professional cleaning and what is the cost of neglecting a deep clean? Yes. The kitchen will have to be shut down for a professional deep clean. The stoves and fryers must be turned off to cool and some other appliances will need to be turned off for proper cleaning and for the safety of everyone. Cleaning the exhaust hood and ductwork takes an average of 2-5 hours. It depends on the number of hoods and air fans and how long the ductwork happens to be, as well as how easily accessible everything is. The good news: APS-Hoods service times are 24/7, so you can pick a time that you are already closed or, if you are open 24/7, a time that you get the least amount of business so that you aren’t missing out on many sales. Commercial Kitchen and Appliances Cleaning Don’t just wipe down your surfaces. Have them high pressure and steam cleaned and your stainless steel polished to shine. Ceiling Tile, Wall, And Floor Have your ceiling tile, walls, and/or floor pressure washed, disinfected and de-greased until it resembles its original condition. The Exterior Keep your restaurant looking inviting and prevent future damage by having dirt and grease build up steam and pressure washed from your parking lot, dumpster area, sidewalks, roof, and building exterior. The cost is going to depend on which services you choose and the size of your restaurant. For a free quote from APS-Hoods, click here. If you have exhaust hoods and fans in your kitchen that have dust or grease build up, that is a severe fire hazard. You may be able to reach some of the gunk yourself. However, there is even more up in the ductwork or in the fans on the roof that is hard to get to and easy to forget about, since you can’t see it. But just because you can’t see grease and dust, doesn’t mean that it isn’t a danger. This report by the National Fire Protection Association lists “Failure to Clean” as the top cause of fires in eating and drinking establishments. That means that the leading cause, 22%, of fires in restaurants was avoidable. Inspectors are trained to find the violations that most people wouldn’t think about. They are there to make sure that buildings are safe and not a health hazard. Simple oversight can cost hundreds of dollars in fees as well as a lower grade, which might turn off some customers. No one likes to be in a dirty place, but especially when they are eating. Customer perception and word of mouth are vital to a business’s reputation and profitability. If a customer sees that a place doesn’t look clean, they will not want to eat there and are likely to warn the people they know as well. Just like no one wants to eat somewhere that doesn’t look clean, no one wants to work in a dirty kitchen either. If it gets bad enough, they might seek employment elsewhere. You will then have to replace them and spend the time and money training someone else. Not only that, but you want to have a safe environment for your employees. A satisfied employee is a more productive employee. So is it worth it to spend the money and hours of downtime for professional cleaners? Doing it yourself will cost employee hours and stress. Plus, the end result is likely to not be enough. Your employees likely don’t have the experience or the tools to get the job done properly, much less the time. And is it worth the risk of customer perception, inspection fees, and fire hazard? On the other hand, having professionals come in and do a deep, thorough cleaning will eliminate any of the downsides of not having it done well. Furthermore, cleaning will take less time because professionals are trained for this specifically and they have the proper tools to get the job done well. Plus, APS-Hoods guarantees your satisfaction. It will likely save you money in the long run and will give you peace of mind. For more information about cleaning services, contact APS-Hoods for a free estimate at (800) 750-7313 in Denver Colorado, Los Angeles & Orange County California, and elsewhere around the country.